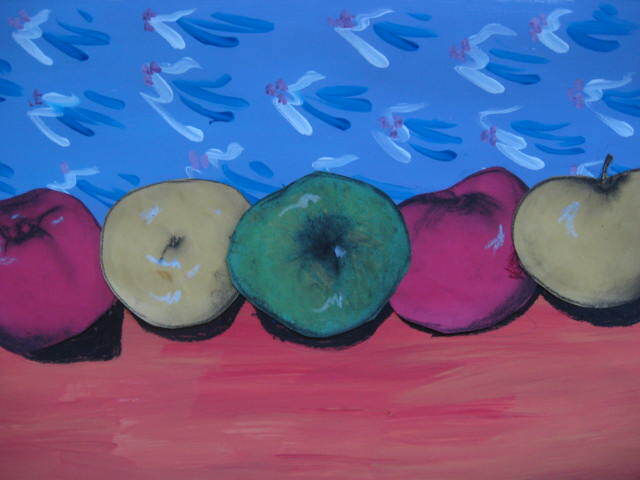 I love the wallpaper done by a very talented 5 year old. 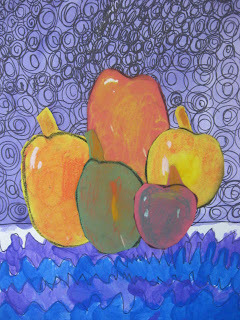 Gorgeous work of a kindergartener! 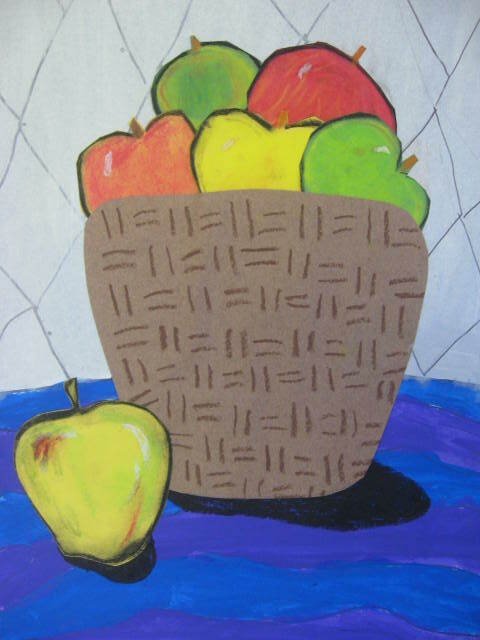 All of my kindergarten thru 5th graders are working on a multi-media piece inspired by the still life work of Matisse and Cezanne. I love this lesson as it incorporates so many different skills and influences. 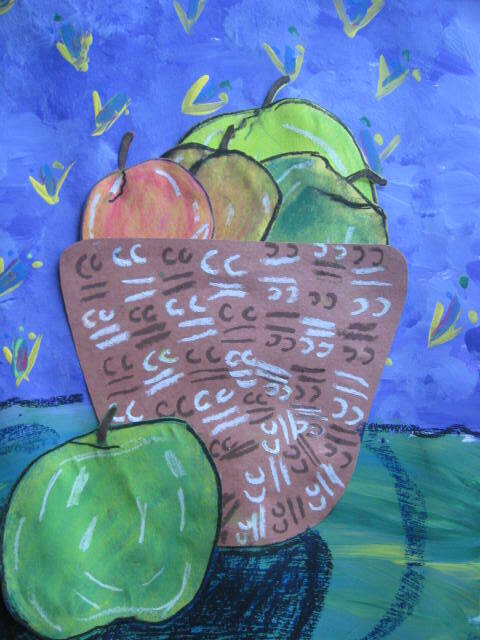 First we looked at the wonderful, vibrant patterns and textures of Matisse to create our background. I told the children it was their opportunity to create their own signature wallpaper &/or tablecloth. They could choose between a verticle or horizantal format. We used acrylics (and oil pastel if they wanted) for this step. They were then put up to dry. 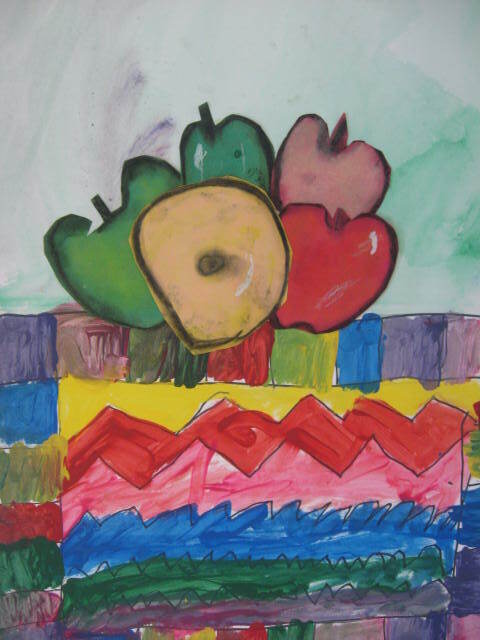 The apples, inspired by the rich, painterly work of Cezanne, were created using a foundation of yellow, green and red construction paper. (I did allow those who wanted, to create their apples on white using all chalk pastel). I discussed the difference between a stylized drawing and a contour drawing. 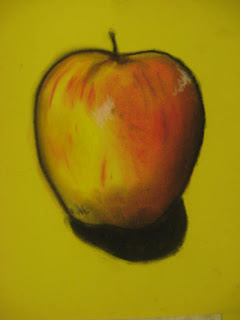 We had plenty of apples around to use as reference. 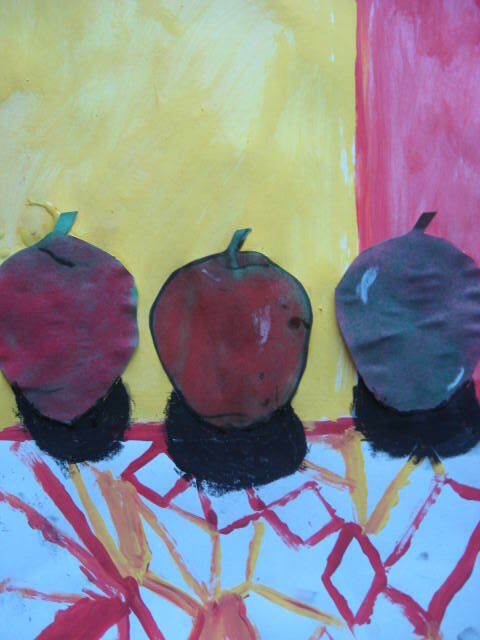 I wanted them to try to create beautiful lines following the contour of their apples (rather than just a perfect circle with a stem). 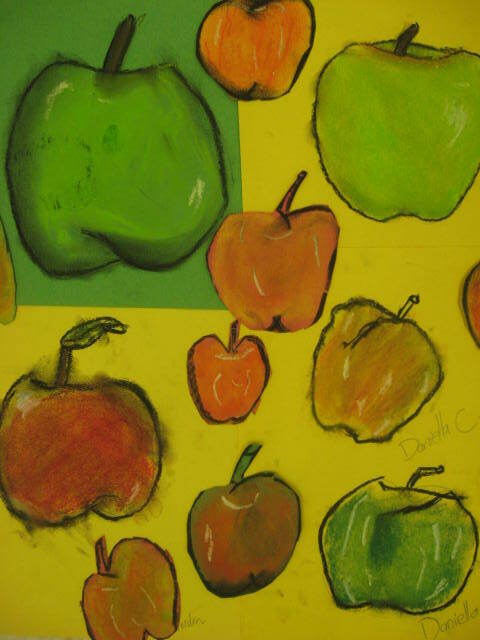 After the pencil drawing, they would look closely at all the colors in their apple and add them with chalk pastel sparingly and smudging with a finger. The outline of their apple was gone over in charcoal and smeared to mimic Cezanne's work, as well as add dimension. 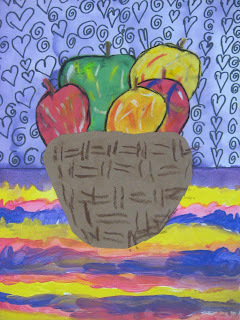 They are then cut out and either displayed in a basket or layed out on their table. The last step is to add the cast shadows. Beautiful work kids! Oh my gosh, I thought the apples were cut out from magazines, not from actual drawings! I'm so amazed. thanks so much. The apple lesson is very much like that of my favorite professor at SCAD, Ben Morris. Mary- Alexa is so lucky you are doing this class. We feel so lucky to have found your class. Thanks! 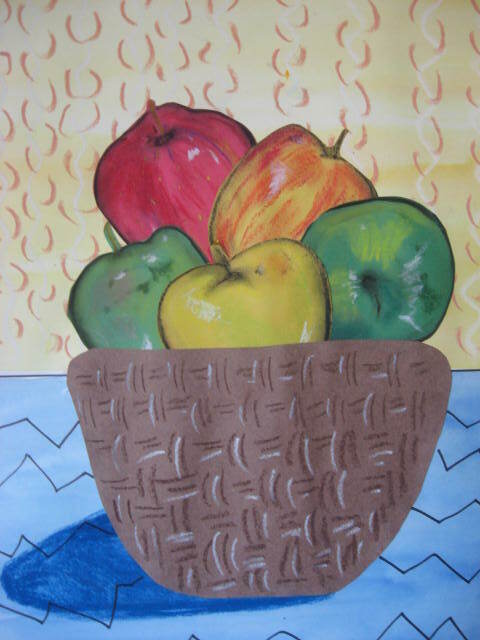 These were done on watercolor paper.